Today I feel to treat myself with something is right down my alley. Ardbeg is one of my favorite distillery but I neglect it recently. So I poured myself a dram of Perpetuum from a bottle that have been opened for at least 6 months but that is still 90% full. Let see how it goes. I have vanilla, straw, pear, mint and citrus that combined with the salt, smoke and peat. The smoke is big but with time the mineral side so typical of Ardbeg is coming forward. From time to time, I get some sherry influence but it's faint. I was expecting a thin mouth but no, there is a small coating. The sherry influence shows itself by giving an impression of a warm fireplace and soem caramel. The mineral side of Ardbeg is now big with the usual pebbles and soot everywhere. To me, it is a lot like the Ten from the years previous to 2013 or 2014, when it became to sweet and too much about the vanilla. That is saying that it has the same flavors that I get on the nose but less fforward. The finish is all about the soot at the beginning but after 30 seconds, I have sweetness coming back and I am left with a very well balance mix of flavors. Ardbeg Perpetuum is like the Twin brother of old batch of the 10 and I am not talking about stuff from the 80', I am talking about batch from 2010, 2011. There is also a little sherry influence. I like the austere style of that time, but I know it is not for the majority, although this expression is sweeter than the 10 from 2011. It is very good, but as a Glorify '10, it is overpriced. I would be willing to pay 20$ or maybe 30$ more than for the 10, but not the 70$ more that the SAQ is asking. Here, it is even 10$ more than the Uigeadail. Wait, the 10 is more than the Oogie? That makes no sense. Our Ardbeg 10 in Nashville is about $60-70usd. The Oogie is more like $90-120 depending on the store. I think he meant Perpetuum is $10 more than Oogie, which is $70-$80 more than the 10 here in The People’s Republic of Canuckistan. @Nozinan Yeah, but we’ll annex it soon enough. Muah ha ha ha!! @Nozinan You mean Ontario has a better price on a whisky than another place on Earth ? Amazing! @casualtorture OdysseusUnbound got it right. Sorry if I was not clear. To be honest, there are many Scotch at the same price that are not as good as this one, it's just that the 10 is an exceptional value to which it is natural to compare it to. I had three bottles of this a few years back and had similar conclusions. 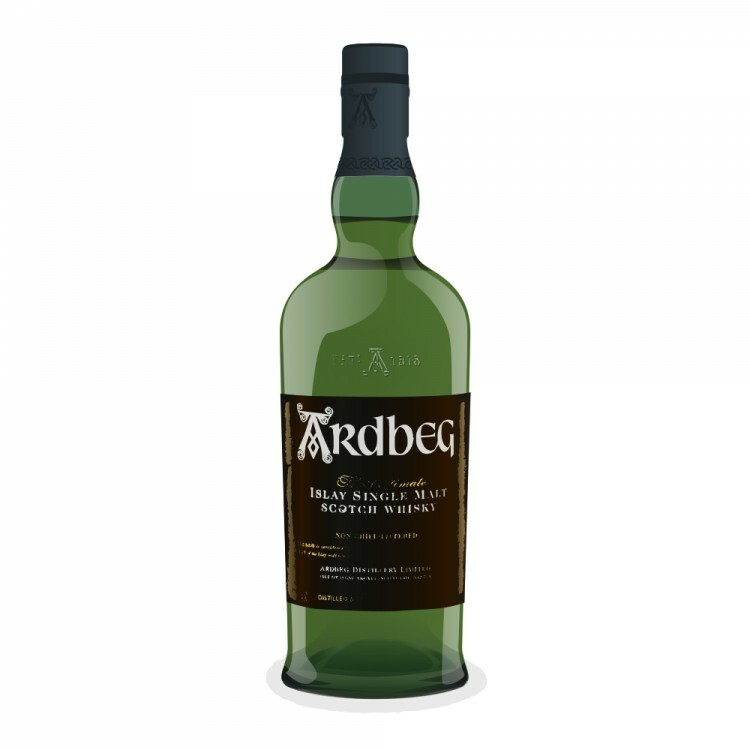 Seemed like Ardbeg Ten v.2.0 for 65% more dollars. Did a HTHTH with a Ten and Corryvrecken and found it better than the Ten, but not as good as the Corry, which cost about the same. Also gotta say I had several bottles of the Ten from a batch in 2011 that were phenomenal, and this was close. Would have bought more if the price had been somewhat lower.